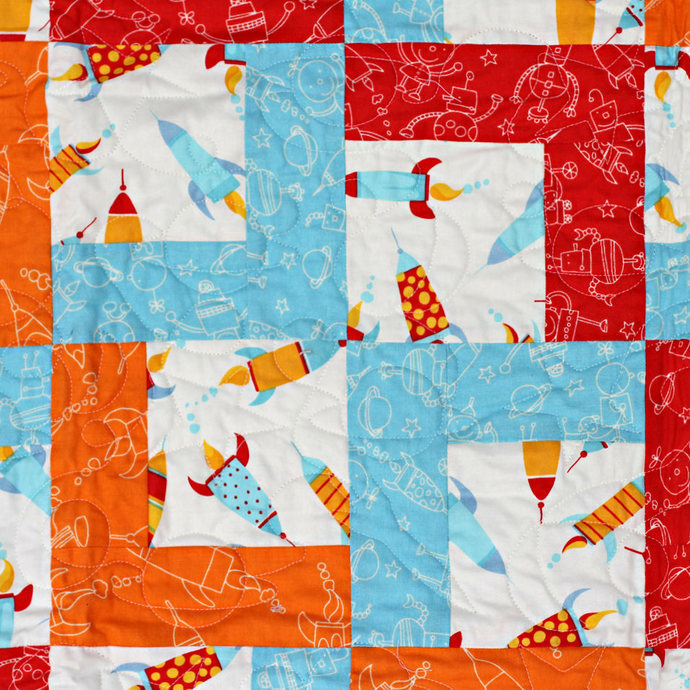 Small handmade kid's whimsical rocket ship/robot quilt is suitable for a baby or toddler boy in shades of blue, with bright red and orange accents. 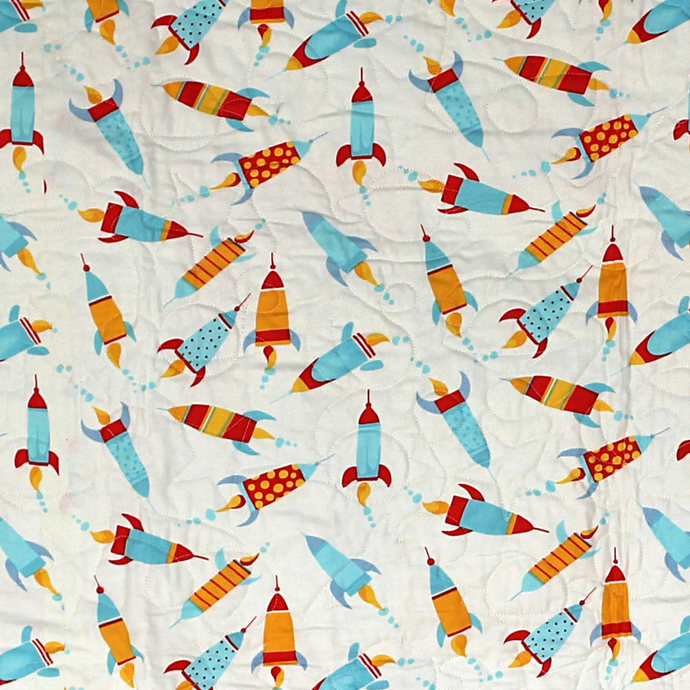 The rocket ship/robot prints are from fabric designer David Walker's "Robots" collection. This collection is out of print. The backing fabric is a cute coordinating, allover small rocket ship print on ivory that is also from the David Walker "Robots" collection. Quilt top has been machine pieced for durability. 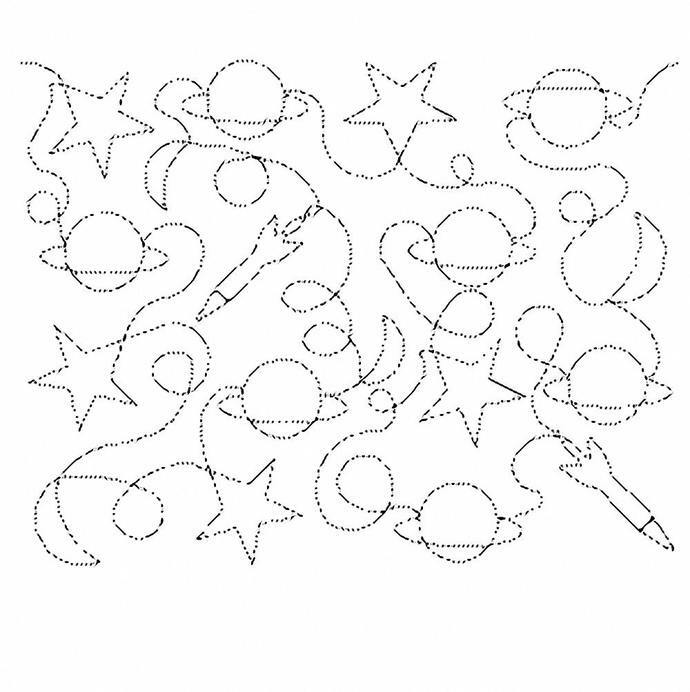 Professionally long-arm machine quilted with white thread in an outer space/celestial design (rocket, planet, moon, and star). 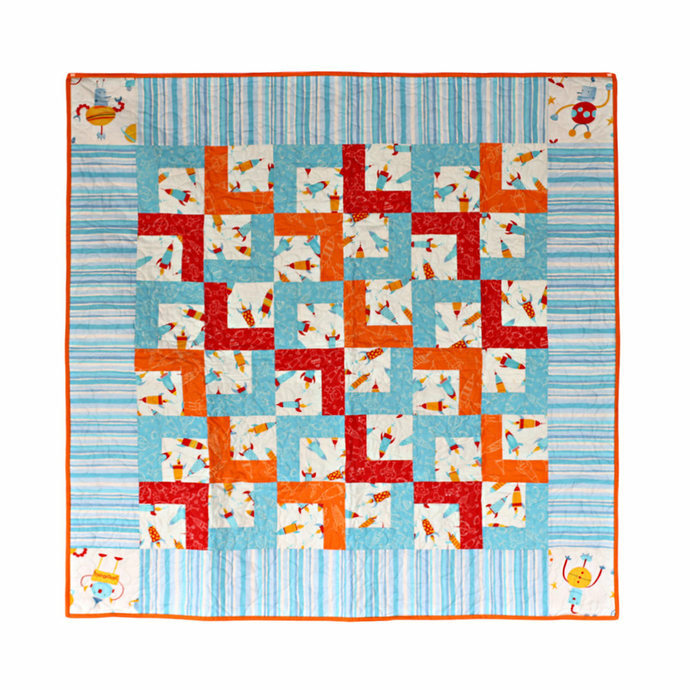 Fussy cut robots are featured in each corner block. The striped border is in ivory and shades of blue. 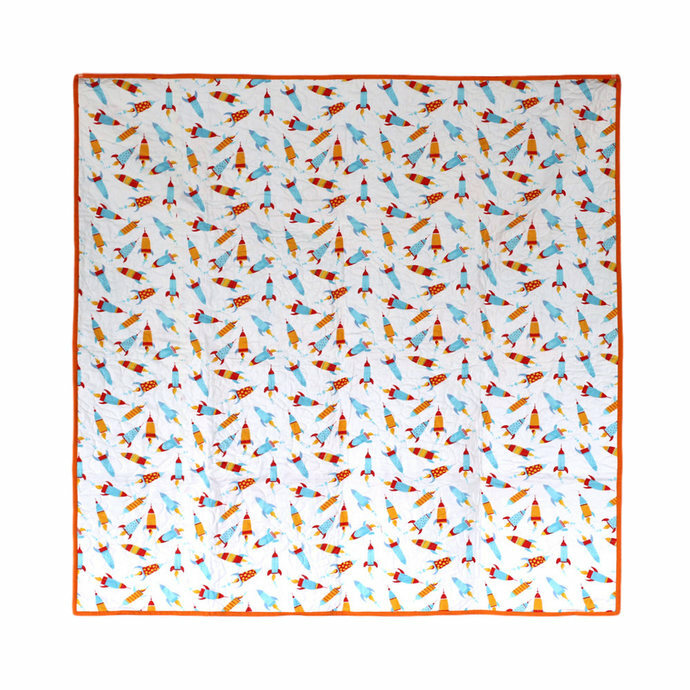 Solid bright orange binding is double-folded for durability. The binding has been machine-stitched to the front and hand sewn to the back. Dimensions: 46.5" (118.11 cm) wide x 46.75" (118.75 cm) long. Although the outer fabrics have been washed prior to piecing and quilting, expect 2 to 3% shrinkage of the batting after laundering.